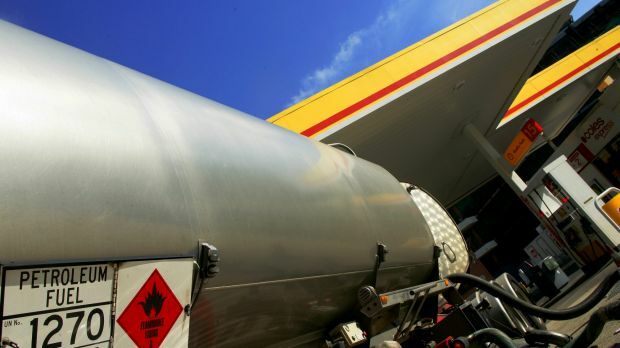 Shell last year sold its downstream business in Australia including its Geelong refinery, a portfolio of 870 petrol stations and other assets to Dutch oil group Vitol. 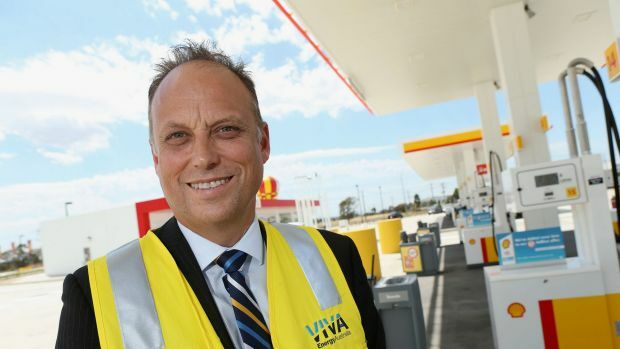 The company which owns the business now is called Viva Energy Australia but it has kept the Shell branding on the service stations. Shell held onto its jet fuel business as well its “upstream” oil and gas fields. 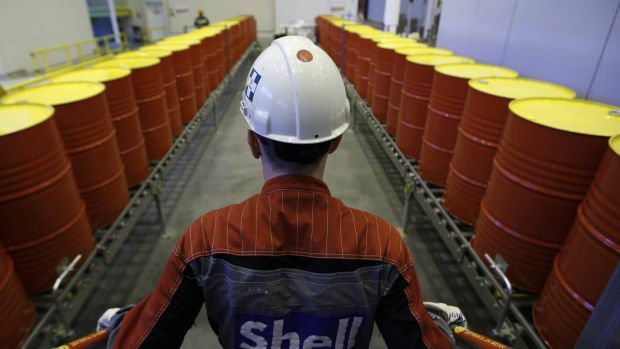 This Fairfax Media analysis will take the reader right through Shell’s businesses, former and current, using accounts and recently lodged submissions to a Senate inquiry on tax evasion to ask the question: are we getting pumped? 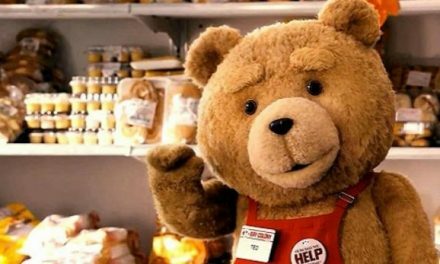 In total, cash receipts from customers were almost $50 billion for the two years. At the same time tax benefits were recorded of $38 million (in 2013) and $111 million (in 2012) respectively. It is difficult to be precise about this most recent year because a full financial picture is not available. The deal with Vitol is also complicated. It appears to have been structured offshore in conjunction with a local franchise deal which could lessen the tax paid for the parties. Further complicating comparisons is the fact that Shell has not produced stand-alone accounts for the seven-and-a-half months before the assets were sold to Vitol. However accounts show that, in broad terms, the performance of Shell’s downstream business altered little after it was sold. Viva’s revenues for the four-and-a-half months it has owned Shell downstream amount to $6.2 billion. Against that revenue the Viva accounts show an income tax benefit of $18.4 million. It also availed itself of tax deductions for research and development. So assuming all things were similar to last year this vast petrol refining and service station operation may have paid no tax despite something like $60 billion in revenues in three years. It is true that petrol refining and retailing are high-volume low-margin businesses. Shell and its peers cannot be expected to make a profit every year. Yet it is also true that the scope for transfer pricing is high as it purchases billions in product from related companies every year in Singapore and, bottom line, this enormous business – across now two owners – appears to pay no income tax in Australia. So it is that the Senate committee investigating corporate tax avoidance now has the oil majors in its sights. Chevron is now locked in court skirmishes with the ATO and is arguably a worse offender on the tax front than Shell – based on what we know about what the tax office says is a sham transaction. Executives from Shell, Chevron, BP and ExxonMobil have been summonsed for hearings later in the month. The oil majors have now lodged their submissions with the Senate. While BP has elected to disclose its income tax paid, which is a good thing as income tax and its avoidance is the subject of the inquiry, others have not been so forthcoming. Instead they have followed the example of the United States digital giants in the first hearings earlier this year and talked about GST, payroll taxes and petrol excise and their contribution to the economy through jobs and so forth. “Nothing to see here” probably nails it as a summary of their position. It is interesting that unlike most Australian subsidiaries of multinationals, Viva actually borrows its money from a consortium of third party banks, giving it less scope to avoid tax. Viva would appear to be paying genuine market rates rather than stepped-up related party rates designed to transfer price global treasury profits to Singapore or other tax havens. Wyatt points out the company has paid excise and GST. But the reality is that Viva is obliged to collect both types of taxes from third parties as agents for the ATO and then transfer those payments to the ATO. Viva does not pay these taxes out of profit. Wyatt also talks about other state taxes which are irrelevant for purposes of an inquiry focused on federal company tax. Parsing the Shell submission (as distinct from Viva) is a more interesting exercise and one which goes to the heart of how multinationals have evolved, to the detriment of the tax system, from traditional “bodies corporate” with an independent board in Australia, effectively, to puppet regimes who act in the interests of their foreign headquarters. Andrew Smith has signed the letter using his global title of “Shell Australia Country Chair”. This title is intended to recognise that Smith is the spokesperson, in Australia, for all of Shell’s Global Group activities. It tells you that he is responding as a spokesperson of the “One Shell Global Body Corporate” and not as a director of the legal entities Shell Exploration Holdings Australia Ltd (SEHAL) or Shell Australia Pty Ltd, which are Australian incorporated branches of that one body corporate. SEHAL holds Shell’s extensive “upstream” assets in Australia including its North West Shelf gas fields. It would be helpful to understand, and indeed the Senate committee would do well to ask, whether or not the KPIs (key performance indicators) of Smith and his team are based on his obligation as a director, to act in the best interest of SEHAL, maximising profit before and after tax for the benefit of SEHAL. Or, they might ask, is he accountable for maximising Australia’s contribution to the group consolidated result even if it means accepting outcomes that are not in the best interest of SEHAL’s bottom line, particularly transfer pricing arrangements that benefit the group offshore at SEHAL’s expense. If SEHAL directors are acting in an agency arrangement for the benefit of the parent then Shell in Australia ought to be taxed as a branch of its ultimate parent. That would strip it of the ability to construct complicated transactions with its parent as it wouldn’t have one. Unsurprisingly, the Shell submission pays homage to the multilateral resolution of the tax avoidance problem – an approach which is unlikely to result in any significant agreement which benefits Australia. Shell expects to pay tax only once and it urges restraint – along with its multinational peers and the business lobby – against unilateral action by Australia. Urging restraint suggests Shell may have an exposure to unilateral action designed to restore the integrity of tax legislation that has been undermined by multinationals. Shell has also exposed itself to the possibility of paying tax more than once by artificially – more on this in a moment – shifting income to places and legal entities where nothing was done to earn it and artificially shifting expenditure into places and legal entities which did not incur it, and in the process obtaining a tax advantage. Shell is not alone in this. There is the usual talk too of investment decisions, Australia’s high costs and changes to the tax system potentially damaging this country’s international competitiveness – insults which derive straight from the playbook of the Minerals Council of Australia and Business Council of Australia. Investment decisions are based on discounted cash-flow (DCF) analyses of stand-alone, ungeared, after tax, cash flows. Income tax is 30 per cent but because of overgenerous investment incentives it only appears in real terms at the back end of most projects. The same effect often applies to royalty allowances. The tax rate that analysts use in making investment decisions is the actual rate, not the transfer pricing rate, so action to restore integrity of Australia’s tax system should not affect an investment decision. It should only affect the jobs of people seeking to undermine the effectiveness of Australia’s tax system. High labour and other costs have historically been a problem, but with the decline in the Australian dollar against the US dollars functional currency of such projects, Australia is becoming more competitive. In support of his lower taxes and restraint on unilateral action Smith also states it is inarguable that the oil and gas industry is vital to the long term prosperity of the nation. That can only be the case if Australia benefits in the form of royalties and taxes to which it is entitled. The problem for Australia is the high rates of leakage caused by multinational transfer pricing and this is what the inquiry is about. Lower taxes and deferring action to restore the system’s integrity will achieve the exact opposite of what he claims. It is also worth noting that low corporate tax rates are only offered by countries that produce virtually nothing – ticket clippers. Countries that add value to the world economy would only be entering a race to the bottom with these pariah tax regimes if they lowered tax rates for multinationals and added higher taxes on their citizens to compensate . As for global LNG sales, Shell has long term contracts in place to sell to its trading company in Singapore. Only North West Shelf gas (LNG) is sold direct to customers. There is no commercial need to sell LNG to Singapore and have the Singapore company then hold a long-term supply agreement with the end customer. There appears no commercial benefit to the Australian company from such an agreement. Is it no more than a transfer pricing strategy to shift profit from Australia to a lower tax jurisdiction? Could it be it only exists because of an undisclosed agency arrangement under which the Australian company has acted for the parent to achieve a tax benefit? Shell’s statement on financing its Senate submission does not pass the smell test. It sounds a bit like Chevron’s game, but using a different strategy. Australia borrows in US dollars because it has a natural hedge in US dollars denominated sales. They have a US dollars functional currency business so the exposure is all US dollars. Then the submission says that the company pays and reports tax in Australian dollars and that is somehow logic for entering into cross currency interest rate swaps with its related treasury company to convert its US dollars debt into Australian dollars, supposedly to remove foreign exchange volatility. All the swap has achieved though is to convert US dollars debt to Australian dollars debt solely for Australian tax return purposes. No exchange volatility was removed by the group because the group eliminates this cross-currency swap between its related parties and only reports the original US dollars debt exposure. The currency strategy appears designed to cause SEHAL to lose money. It allows the group to step up from a US dollars rate to a significantly higher Australian dollars rate and get away with tax deductions on the higher rate while pocketing the transfer in Singapore and paying very little tax on it. If the committee can establish whether the KPIs of Shell’s executives hold them accountable for either the profit and balance sheet performance, or some form of accountable cash contribution, then – if the answer is “yes” then there should be a lower risk of transfer pricing. If the answer is “no” then you can bet the Singapore trader is profiting at the local companies’ expense. Again, Shell is not alone in transactions which are designed to aggressively reduce tax. The Senate can make significant inroads if it poses the right questions on agency and the structure of executive remuneration. Shell used to be called Shell Australia. Now it is Shell in Australia. It used to publish accounts, now – like others – it quietly files only the absolute minimum of statutory disclosures with the corporate regulator. Transparency is a first step, and perhaps the easiest one, for the inquiry. Multinationals will kick and scream if any demands for more transparency are foisted upon them but increased disclosure is key to easing the scourge of multinational tax avoidance.